Who will be the next Microsoft CEO? Alan Mulally Vs Stephen Elop Vs Bill Gates: Who will be the next Microsoft CEO? We recently learned that Microsoft are to part company with Steve Ballmer. Ballmer famously succeeded the company’s founder Bill Gates, leading the organisation through a period of high profitability mixed with some serious mistakes and missed opportunities. Ballmer will officially depart the scene in 2014, but as of yet details have been thin on the ground when it comes to his replacement. So who will be the next Microsoft CEO? That is not to say that Microsoft are not hunting in earnest for their next CEO. 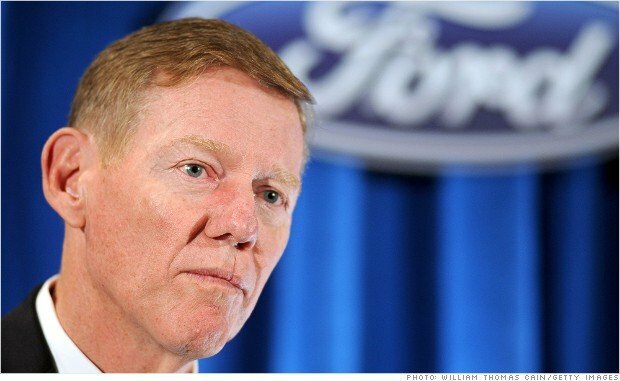 Reports breaking the last 24 hours point towards the possible appointment of the enigmatic CEO of the Ford motor group, Alan Mulally. Mulally has had a solid run with Ford, helping to maintain the brands reputation whilst making some shrewd additions to their line-up. He’s universally considered a success for his time with the group, and Microsoft’s interest is said to be ‘serious’. Whilst there’s no indication that formal discussions have yet occurred, its widely reported that both parties have already engaged in prolonged and in-depth discussions. It appears that Microsoft first took an interest in Mulally when he personally advised Ballmer on the recent-ish restructure of Microsoft. He also has roots in Seattle, having previously worked for Boeing as CEO. He still owns property in the area, and that property sits within striking distance of the global Microsoft HQ. Sources indicate that he has help personal ambitions to return to the city for some time, but has reservations over the Microsoft job. Whilst his stance has softened, the job remains a massive challenge. Where there’s a challenge lies an opportunity, but Mulally is shrewd enough to know that this would be a career defining post, and the challenges in the role will make it hard to deliver big impact, quickly. His reputation is strong across the press and his peers, where he’s known to be open and always willing to answer difficult questions ‘on the record’. He is a corporate man with the CEO experience, but some doubt his ability to be the ‘visionary’ that its widely accepted Microsoft need. Their inability to find a big consumer hit during the 14 years of Ballmers reign has been damaging, leading to two schools of thought. The first points to the visionary route, where the dream remains the short term re-appointent of Gates. Gates is still being lined to the job, and its known that some key people in Microsoft believe they could get their man, especially if the deal could be structured around a short and aggressive stint. the other school of thought points towards an element of retrenchment, where the company would restructure around their core profit drivers, namely b2b technology. Read: Is Bill Gates set for a spectacular return as Microsoft CEO? The latter would mean virtually abandoning hopes of landing a Microsoft smartphone or killer tablet, with the company deferring to their Nokia acquisition in the hunt for this hit. There remains low appetite to move away from consumer though, especially at a time when there’s excitement around their new Xbox One console, Nokia purchase and the continued success of Skype. In terms of visionary alternatives to Gates, the Nokia CEO Stephen Elop remains of interest. Elop is already at Microsoft, via their purchase of Nokia, and he is widely regarded as a top level candidate after turning around Nokia. Its worth remembering that there were times when Nokia were considered as ‘doomed’ as Blackberry are today. Its in no small part to Elop that this has changed, and this is a fact that is far from lost on the Microsoft board of directors. One things for sure, the race to succeed Ballmer is set to hot up as we enter the final quarter of 2013. Its too early to say who the next Microsoft CEO will be, but its looking like being one of these three.